The stocks that this popular strategy chose will produce gains, but they probably won’t be big enough to beat the Dow overall. The Dow Jones Industrials (DJINDICES:^DJI) have had an incredibly strong 2017, with gains of 22% pushing the average above the 24,000 mark recently. That’s been good news for many investors, but it has left some who’ve sought out market-beating strategies shaking their heads and wishing they’d just bought an index-tracking investment instead. 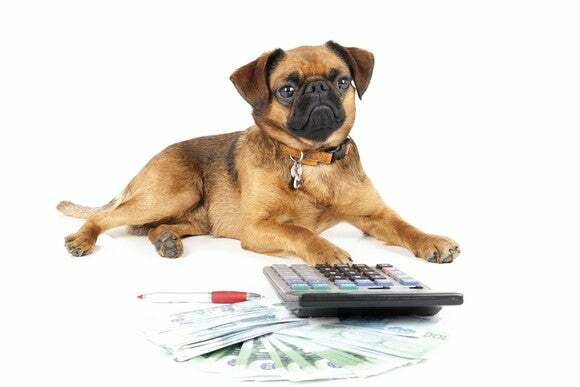 One victim of 2017’s success has been the Dogs of the Dow strategy, which emphasizes the most dividend-friendly stocks among the 30 components of the Dow. Despite often outperforming the broader average, the Dogs of the Dow are trailing by a hefty amount so far in 2017, and it’s unlikely that there’ll be enough time for the strategy to catch up in the last few weeks of the year. Unfortunately, the Dogs haven’t been able to live up to their potential so far this year. With a more than 7-percentage-point lead, the overall Dow looks poised to finish ahead of the Dogs for the first time since 2014. One reason the Dogs aren’t doing well is that the strategy picked most of the companies that have turned out to be 2017’s losers. Although the strategy dodged a bullet by not selecting hard-hit conglomerate General Electric (NYSE:GE), the other four Dow stocks that have lost ground in 2017 are all included in the Dogs of the Dow. In particular, the energy industry has managed to rebound as much as investors had hoped, and ongoing issues in the wireless telecommunications and pharmaceutical industries have hurt some other key Dow components. What’s particularly interesting is that the Dogs would be doing even worse were it not for the outstanding performance of two key stocks. Aircraft manufacturer Boeing (NYSE:BA) has led the Dow with a nearly 80% jump this year, led forward by huge demand for more efficient models and a healthy customer base in the airline industry around the globe. Caterpillar (NYSE:CAT) hasn’t been quite as successful, but the heavy-equipment manufacturer’s stock has jumped more than 50% as demand has returned from key sectors like energy, mining, and construction. Despite those winners, though, no other Dog stock has produced a return of more than 12%, whereas nine of the 20 non-Dog Dow stocks have returned at least 30% price gains so far this year. What’s shaping up for the 2018 Dogs of the Dow? David and Tom just revealed what they believe are the ten best stocks for investors to buy right now… and Dow Jones Industrial Average wasn’t one of them! That’s right — they think these 10 stocks are even better buys.